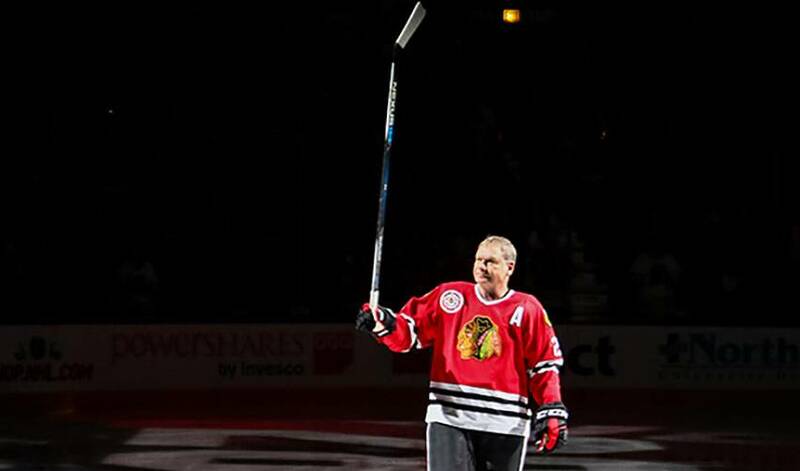 Steve Larmer has played on some pretty big stages in his impressive career – and won. Yet returning to Chicago last month as part of the Blackhawks’ One Last Shift, in which the NHL original six club honours past legends with a pregame ceremony, had the 55-year-old Larmer feeling a bit nervous. 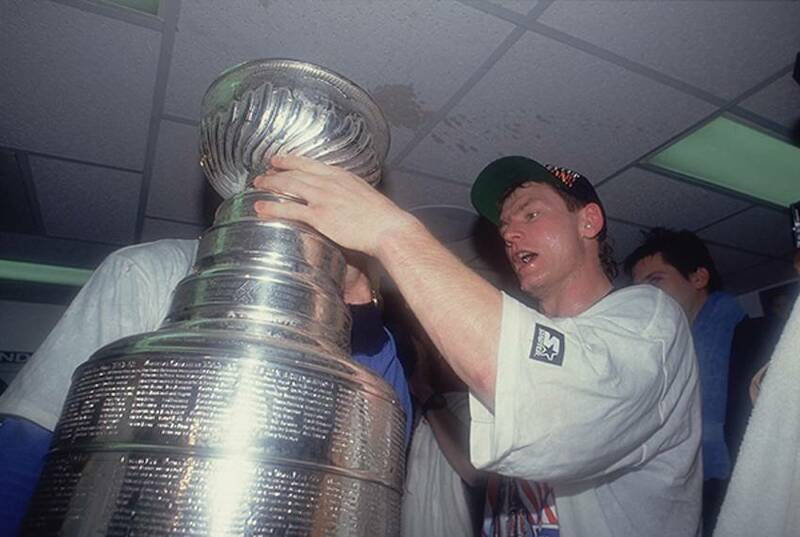 Steve Larmer played on some pretty big stages in his superior career – and won. There was the 1991 Canada Cup with Team Canada and the 1993-94 Stanley Cup final with the New York Rangers, to name his two biggest championships. Yet, in returning to Chicago last month as part of the Blackhawks’ One Last Shift, in which the NHL original six club honours past legends with a pregame ceremony, the 55-year-old Larmer felt a bit nervous. Larmer, who wore No. 28, was more than 23 years removed from his final game in a Blackhawks sweater. He played his last game for Chicago on April 25, 1993, when the rival St. Louis Blues swept the Blackhawks in the first round of the Stanley Cup playoffs. After the Blackhawks selected him in the sixth round (120th overall) of the 1980 NHL draft, he saw action in four games of his final junior season with the 1980-81 Niagara Falls Flyers and three more the following year, when he helped the New Brunswick Hawks win the AHL Calder Cup championship. He then played in every regular season game in the next 11 consecutive seasons with the Blackhawks as well as 109 postseason outings. His 884 iron-man streak in the regular season is the third longest in NHL history, behind Doug Jarvis’s record of 964 and Garry Unger’s 914. All Larmer needed was another full season to pass Jarvis. But instead, he took a stand against the Blackhawks - and it cost him NHL history. But Larmer felt Chicago was an organization spinning its wheels. The Blackhawks only were 12 months removed from a visit to the Stanley Cup Final, yet they changed coaches (Mike Keenan to Darryl Sutter) and significantly altered the roster. Larmer felt it was time to move on. His clock was ticking and he wanted to win a Stanley Cup. “I have no regrets,” Larmer said. “You can’t live like that. I’d do the same things all over again. The team was going in a different direction and I was one of the last guys there from a different era. The Blackhawks didn’t accommodate Larmer’s trade request right away. As a result, he missed the team’s first 13 games in 1993-94 and his iron-man streak went by the wayside. But finally, No. 28 was set free and a three-way trade with the Hartford Whalers landed Larmer on Broadway with the New York Rangers. Eight months later, he celebrated a Stanley Cup championship with Mark Messier and Co. The win and celebration to end a 54-year championship drought for the Rangers were worth Larmer’s stance against the Blackhawks. But did losing the consecutive games played streak hurt? Larmer decided to retire after the lockout-shortened 1995 season and later spent seven years as the NHLPA’s director of player relations. He now resides in his hometown of Peterborough, Ontario, where he watches and cheers on his 13-year-old stepson J.R. with the local minor bantam team. He also will marry his long-time girlfriend Tracy this summer. Ever year at the Hockey Hall of Fame, his name is mentioned as a candidate. Plenty of people in the hockey world believes Larmer deserves an HHOF induction, including Blackhawks play-by-play man Pat Foley, who pleaded Larmer’s case last fall when Foley was honoured with the Foster Hewitt Memorial Award. Larmer certainly has the stats, championships and respect of his peers. He made the playoffs in every one of his full 13 NHL seasons. He checked in with 441 goals and 1,012 points in 1,006 regular-season matches, and even more impressive, he scored 56 times and notched 131 points in 140 Stanley Cup playoff games.